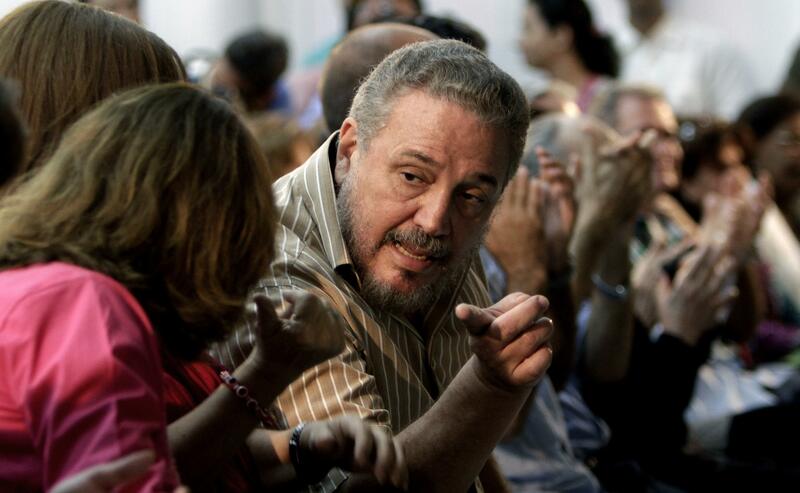 Fri., Feb. 2, 2018, 11:05 a.m.
HAVANA – Fidel Castro’s oldest son was mourned in Cuba on Friday after the unusually public announcement of his suicide following a long depression. Fidel Castro Diaz-Balart was known as Fidelito, or Little Fidel, for his resemblance to his father. A nuclear physicist by training, Castro Diaz-Balart, 68, was the offspring of a family that combined the aristocratic class that ruled pre-revolutionary Cuba with the man who expelled them after taking power. Fidel Castro married young aristocrat Mirta Diaz-Balart after they met at the University of Havana in 1948. She came from a family closely tied to strongman Fulgencio Batista and her father served in Batista’s cabinet. Fidelito was born a year after his parents married. The boy saw relatively little of his father, who was imprisoned for his role in the armed struggle to oust Batista, fleeing to Mexico in 1955 after his release. Mirta Diaz-Balart divorced Castro and received custody of their son. Castro persuaded her to send the boy to Mexico, then briefly refused to return him to his mother, although she was eventually able to take him back to Cuba. Mirta Diaz-Balart and her second husband fled Cuba for Spain in the 1960s, and Fidelito was sent to study physics in the Soviet Union. He became an advocate for the civilian use of nuclear power and his mother later visited him several times in Cuba, where he had returned. He had five half brothers from Castro’s second marriage, and a half sister from another one of his father’s relationships. Fidel Castro Diaz-Balart was named head of Cuba’s nuclear program, but fired by his father in the 1990s. The fall of the Soviet Union later paralyzed Cuba’s civil nuclear program, including plans to build a reactor. Fidelito publicly reappeared at the end of the 1990s and was named a scientific adviser to the Council of State and vice president of the Cuban Academy of Sciences, frequently representing the country in scientific conferences overseas but never assuming a position of political power in Cuba. Fidelito married twice and had three children with his first wife, the Russian Natasha Smirnova. Other members of the Diaz-Balart family moved to the United States and Mirta’s nephews, Mario and Lincoln Diaz-Balart, both became Florida Republican congressmen strongly opposed to the Castro regime. Their brother Jose is a journalist for the Telemundo network. No further details were provided about the circumstances of his death or funeral arrangements. Published: Feb. 2, 2018, 11:05 a.m.